I had the privilege of meeting with a young writer this week who wanted to chat about her future. She’s articulate, smart and engaged. She’s already a member of a fan-fiction forum where she chats with other teens about writing. She’s planning to take the NaNoWriMo challenge and write 50,000 words in November. Even at fourteen, with parental controls carefully in place, she’s linked in and excited about the future of book publishing. Here are some of the things we discussed. 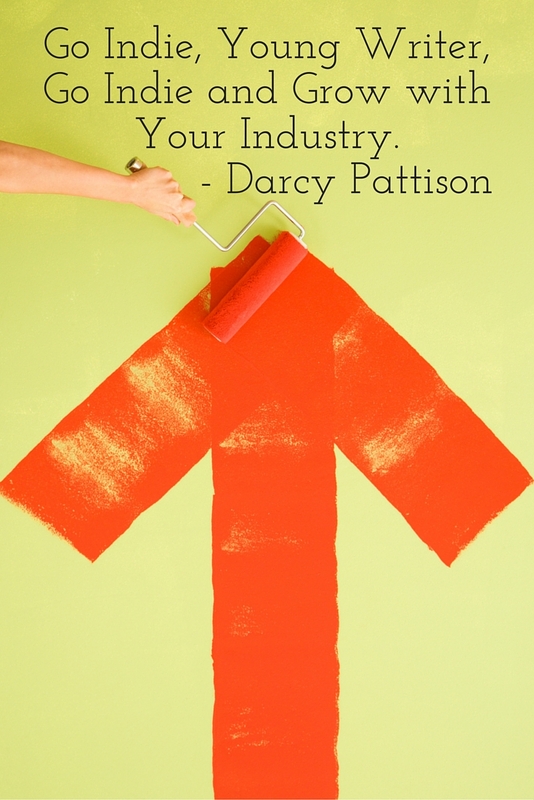 Go Indie, Young Writer, Go Indie, and Grow Up with the Industry. Write 10,000 hours. If you want to be a writer, you must write. Obviously, someone has read Malcom Gladwell’s book, Outliers, where he claims experts need that level of commitment. Whether you believe that number or not, it’s true that writers write. They don’t talk about writing, they don’t study text books about writing, they don’t wish they had written. They write. Likewise, most writers who are successful are readers. It’s certainly possible to avoid a deep literary background of reading–but I believe it’s much harder. Pour language in to get language out. The wider the variety of reading, the better. Prepare to be a social media maven. A second skill for writers growing up today is social media. Aspiring young writers should become comfortable on different social media platforms and participate a variety of communities devoted to literature. One thing that definitely means is the young writer needs skills in photo editing. Taking your own photos is even better, but for sure, they should be able to edit photos. For example, Facebook needs horizontal photos, while Instagram prefers square, and Pinterest highlights vertical. Can you take one photo and format it to fit each platform. Even as platforms morph (Instagram now allows horizontal or vertical, while preferring square), the ability to reformat photos will remain a valuable skill. One step farther, video skills will become increasingly important online. These are things that even a fourteen-year old can do, before they are even allowed by cautious parents (Hurrah for cautious parents!) allow social media accounts. For example, Lynda.com offers reasonably priced video tutorials on a wide variety of skills, including photo editing. When I said, “Yes,” she was excited. She was already tending to think indie was a strong option for her. And fourteen years old is the time to think Indie, because it requires an entrepreneurial mindset. Indie authors are small business persons. They need a variety of skills: accounting, marketing, graphic design for book covers and book layout, social promotion and more. This was perhaps the biggest surprise for the Young Writer’s Mom. She had thought only of writing and producing the books, not of marketing them. Now is the time to think about the classes to take in high school and college that can feed into a successful venture in indie publishing. Learn accounting and financial management. One of the biggest challenges for me has been the financial side of indie publishing; in fact, I’d never even taken a basic accounting class before I started my venture. I suggested that Young Writer invest time in accounting, accounting software, and thinking like a financial planner. Likewise, books are an exercise in graphic design. Whether you do ebooks or print books, the book cover is a crucial sales tool, and the interior must be laid out in a professional and pleasing way. I’m not saying that Young Writer must do all her own graphic design; rather, she must be comfortable acting as an art director for her books. That means some experience in a graphic design class will help her see possible difficulties and solutions and hopefully, give her an eye for great design. Maybe an arts appreciation class is just as important as the graphics design class. What should I major in in college? asked Young Writer. The answer depends on Young Writer’s goals. Indie authors create multiple income streams to survive, especially in the early years. Typically, a writer earns income from book sales, speaking engagements, and teaching. Throw in some extra sales from repackaging the book for different formats: paperback, hardcover, ebooks, audiobooks, online video courses, and so on. If Young Writer wants to be a creative writing professor at a university level, then an MFA in Creative Writing makes sense. Or even a Ph.D. University programs are generally great at turning out professors, and not necessarily (with exceptions, of course) turning out practicing and successful writers. However, if Young Writer wants to really go entrepreneurial and try to make a living from her writing, I’d advise a minor in Creative Writing (while working on her 10,000 hours experience), and a degree in something else. Michael Crichton, author of Jurassic Park and other classics, graduated from medical school, although he never practiced as a doctor. The expertise in medicine–and his comfort in dealing with technical issues from chemistry to anatomy–brought something unique to his fiction. He was comfortable discussing the genetics of bringing back extinct species of dinosaurs – and making the science fiction plausible. Likewise, Young Writer might benefit from a degree in history, archeology, sociology, anthropology, medicine and so on. It depends on Young Writer’s goals, their personality, and their commitment to writing. But now is the time to think about options. And I think the future for smart young writers is in their own hands. Go Indie, young writer, go Indie, and grow up with the industry. “So, a writer shouldn’t study writing to become a writer? Does that mean your blog is totally a waste of time?” Marilynn said facetiously. Any craft, including writing, should include study from those who have mastered that craft. Otherwise, the writer won’t have a clue about whether or not they are writing crap or not, and they won’t learn some of the tricks of the craft. No, you misunderstand. You still need to write and get the 10,000 hours done and study like mad! However, you also need life experiences to write about! Too often, professors at universities are unpublished. Take classes from published writers–if you want a writing career. If you want a teaching career, then go for the university degree. I strongly suggest a Minor in Creative Writing! Thanks for the comment, so I could clarify!